Will Oscars Return to a Five Film Best Picture Field? When The Dark Knight failed to be nominated for Best Picture, even though it was clearly Oscar-worthy (it won a Best Supporting Actor for Heath Ledger as The Joker), the Academy famously expanded the field of Best Picture nominees from five to ten. Then the institution subsequently slightly altered that to say that it could be anywhere from five to ten nominees. Now, after the expansion failed to get the big budget blockbusters that are also critical darlings (like Guardians of the Galaxy and Gone Girl) nominated for the film world’s top prize, word is the Academy is looking to return to the five nominee format. 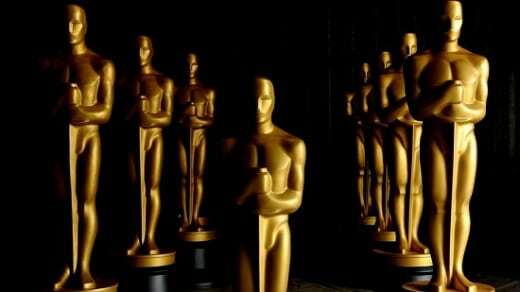 The Academy had also hoped that if films such as Guardians of the Galaxy and The Dark Knight (the film that spurred the idea in the first place) were nominated, it would result in more people actually watching the Oscars broadcast to see if their favorite movie would take home the gold. That didn’t happen. Ratings have remained stagnant, or dropped in recent years. We think that the ten picture format is not a bad idea at all, as long as ten films are nominated. Why, oh why, did they only nominate eight films this year for Best Picture (of which only one was a blockbuster and that was the $300 million-earning American Sniper, which only took home one award)? As we have repeatedly stated, Guardians of the Galaxy was totally worthy of a nod -- so too was Nightcrawler and the film you can see when you watch Edge of Tomorrow online, Tom Cruise’s biggest hit in years. The old adage of use it or lose it comes to mind with a potential rule change like this. If the Academy is not going to nominate the very types of movies it sought to by expanding the Best Picture category, then why even have it in the first place? We hope they do not return to the five picture nominee format, but if they do, it’s not like much was missed in the first place. Should the Oscars go back to nominating only five movies? Yes, The Award Will Mean More to the Winner Yes, The Expanded Format Experiment Never Worked! No, Then My Fave Will Never Make It! No, Audiences Deserve a Wide Variety of Best Picture Worthy Choices I Don't Care! 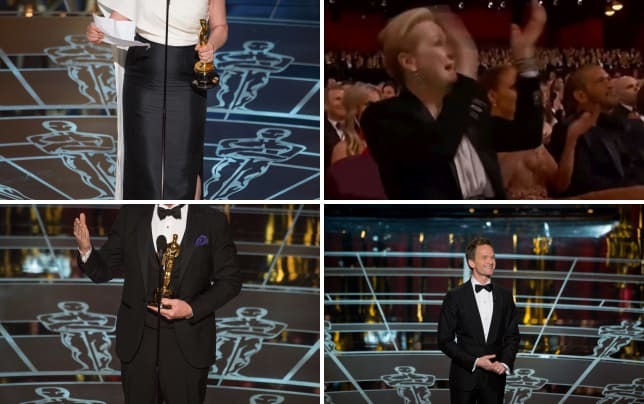 Here are the best moments from this year’s Academy Awards!